Much of Texas is struggling to rebuild in the aftermath of Hurricane Harvey. 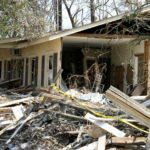 Progress has been slow for many property owners because insurance companies are dragging their feet in paying out on claims. Many Texans are discovering their insurance companies are using certain exclusions and limitations in their policies to wrongfully deny legitimate claims. This approach has become common throughout the Coastal Bend area of Texas, as real estate owners and businesses are beginning to receive denial letters from their insurance companies. 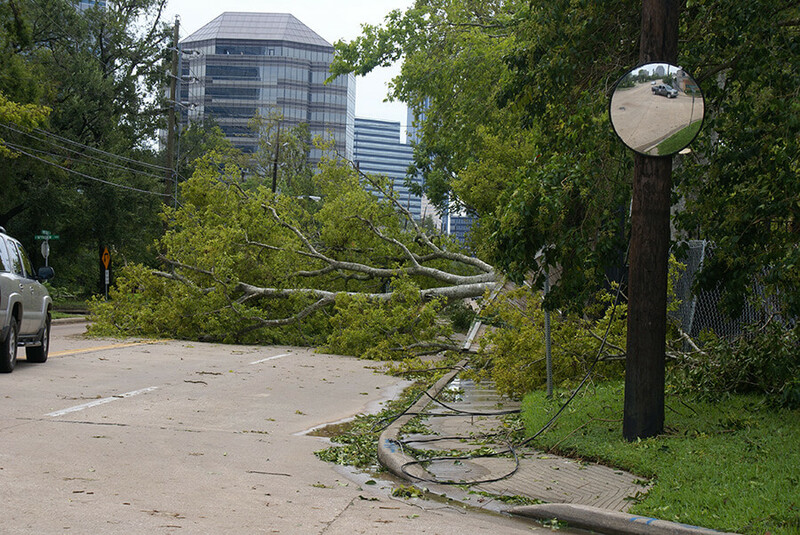 Is your insurance company refusing to pay your claim on the grounds that the damage resulted from wear and tear and not wind from Hurricane Harvey? Are they admitting that there is damage to the interior of the building that resulted from wind driven rain, but refusing to pay because there was “no storm created opening”? Let’s take a look at the applicable clauses, and what you can do about it. Most policies issued in Texas consider any direct physical loss to be covered unless the loss is either excluded or limited by a specific policy provision. 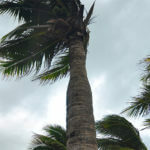 Wind damage from a hurricane and wind driven rain are both considered a covered cause of loss under most insurance policies. Because of that basic rule, insurance companies will have to identify and prove that a specific “Exclusion” or “Limitation” contained in the policy applies before they can avoid coverage. In Texas, a policyholder bears the responsibility to demonstrate a covered cause of loss, but if an insurance company wants to avoid payment based on an exclusion or limitation, they have to prove that it applies. Most policies contain a series of exclusions that are crafted to avoid coverage. One of the most commonly used exclusions pertains to “wear and tear.” If an insurer can demonstrate that roof damage was the result of wear and tear and not hurricane winds, there is no coverage under the policy. Often, however, these condition-based exclusions are written back in coverage for an “ensuing loss.” An ensuing loss is a new loss that follows an earlier loss. In the case of an ensuing loss, the earlier loss is often uncovered under the policy, while the new loss is, meaning policyholders will only receive compensation for damage caused by the new loss and are left paying out of pocket for damage caused by the original loss. For Hurricane Harvey claims, this is most commonly playing out like this: insurance companies will claim the roof, siding or other component of the building envelope were not damaged by wind, but rather deteriorated due to wear and tear over time. Then wind driven rain, a covered cause of loss, enters the building through the existing defects and causes interior water damage. The alleged original loss – the deteriorated roof – is not covered under the policy, so insurance companies do not have to pay for the water and wind damage caused by the storm. The interior water damage is covered under the policy, so insurance companies will compensate policyholder only for this damage. When an insurance company denies damage to a roof, but pays for interior damage due to water or wind driven rain, it is typically a result of an ensuing loss type of provision. Even in a circumstance where an insurer pays for interior damage due to ensuing loss, they will try to minimize those payments. The interior of a building includes anything beneath the roof covering, such as insulation and decking. When an insurer has a responsibility to pay for interior damage under a policy, they are obligated to pay for all interior damage, and not just limited payments for sheetrock. This includes substantial repairs for the parts of the building just below the roof, such as wet insulation or corroded decking. In addition to outright exclusions, an all risks policy may also contain certain “Limitations.” One common limitation provides that the insurer will not pay for damage to the interior of a building unless “the building or structure first sustains damage from a Covered Cause of Loss to its roof or walls through which the rain . . . enters.” In other words, with this type of limitation, there is no coverage for interior damage unless it resulted from a storm created opening. Many policies do not contain this type of limitation, and in those cases, interior damage is covered even without evidence of wind damage to the roof, siding or windows. In the aftermath of Hurricane Harvey, insurance companies are facing the financial liability for billions of dollars in claims. Insurance companies are run first and foremost as businesses. This means insurance companies may not always have a policyholder’s best interests at heart. In order to avoid paying out on claims, many insurance companies are wrongfully claiming damages were caused by wear and tear, and not a covered loss such as wind driven rain. While this might seem like a small detail, the reality is that this can determine if a claim is paid or not. Many policyholders in places like Fort Bend County, Rockport, and all along the Texas coast are shocked to find out insurance companies wrongfully classify their wind damage. Hurricane Harvey was a Category 4 hurricane with maximum sustained winds at 130 miles per hour. Wind damage from Hurricane Harvey was obvious. Roofs were destroyed, trees were downed, and properties were decimated. So why do insurance companies fraudulently deny these claims? Very few policyholders understand the nuances and complexities of commercial insurance and are unaware of their rights. By giving policyholders the runaround, companies are saving themselves millions of dollars in payouts. This is wrong and insurance companies must be held responsible. If you regularly pay your premiums, you are entitled to full coverage under your insurance company. If your insurance company has wrongfully denied, delayed, or underpaid your claim, call the experienced Hurricane Harvey wind claim lawyers at Raizner Slania LLP today. We have a successful track record of taking on some of the largest insurers in the country. Don’t wait to get help on your Hurricane Harvey claim.